Tosu Stadium is a stadium adjacent to the JR Tosu Station, the largest stadium in Saga Prefecture with a capacity of 25 thousand. 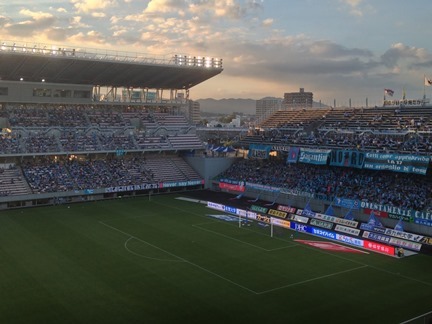 It is also the home field for Sagan Tosu, a professional soccer team. The stadium is characterized by its large roof, wide seating space, and natural grass. The main distinction of the Tosu Stadium is its location. The stadium is only one minute from the Tosu Station, the junction station of the Kagoshima Main Line and the Nagasaki Main Line. This traffic accessibility is a big plus that no other sport facilities can offer. It can be easily accessed from throughout Kyushu. 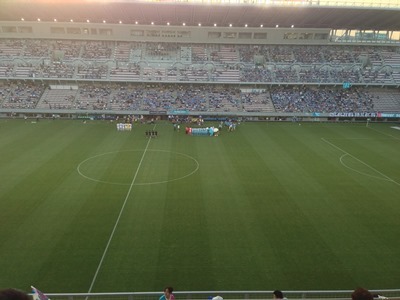 Tosu Stadium, home field for Sagan Tosu. 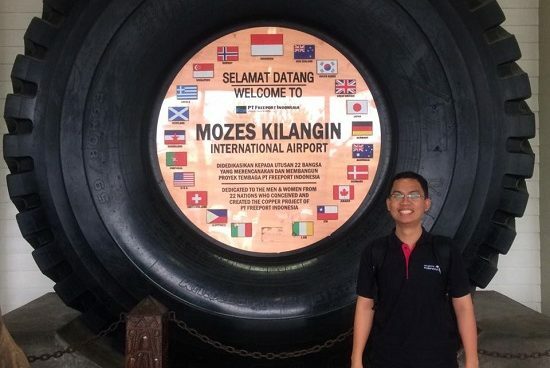 I came to this stadium at June 10th, with some teachers at school during my practical training. They are Noda-san, Fujisaki-san, Kido-san, Nakamura-san, Hashima-san, and I. We watch Japanese League First Division Match between Sagan Tosu (home) and Ventforet Kofu (away). This was my first chance to watch soccer match live in my life. So, I was so excited at that time. After finishing work at 5.15 in the afternoon, I changed my clothes and went there. I and Hashima-san, got there with Noda-san car. We just took expressway from Taku City and went out near the suburbs of Tosu City. It took about 1 hour to get there. Before the match began at 19.00, Noda-san and Fujisaki-san kindly bought some bentou (like a set of food) as dinner for all of us. 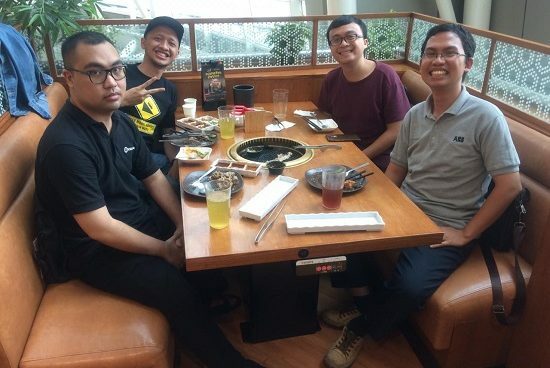 Thanked to them, I ate my dinner quickly before the match began. Here are some pictures I took. Hashima-san took my picture and Tosu Stadium as background. 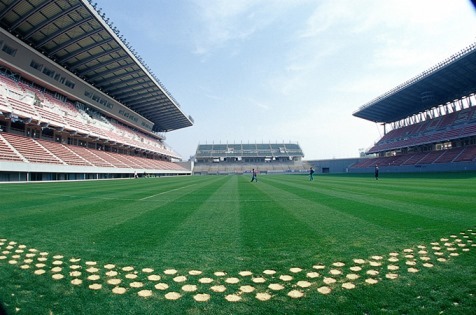 Tosu stadium in Saga, about 8000 spectators came to watch. At last, the home team Sagan Tosu won the match against Ventforet Kofu for 2-1. 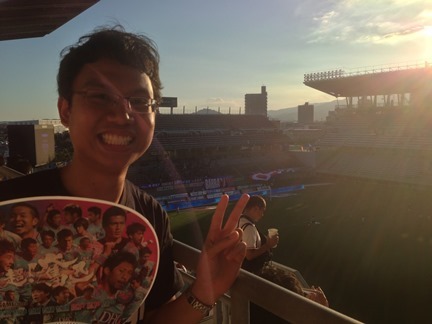 All of the spectators went home cheerfully, and so Nakamura-san and Fujisaki-san (Both of them are Sagan Tosu fan). Fujisaki-san then brought I and Hashima-san back to Matsuya Hotel in Taku City. After 1 hour passing the expressway, we arrived in hotel at 22.30 and our exhausted day finally finished.